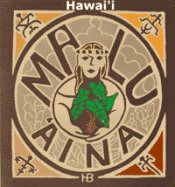 Malu 'Aina » Blog Archive » NRC Sells Out! « The Ugly American Syndrome! Published by jalbertini on May 31st, 2013 in Hawaii Independence, Military, Public Events, Radiation, Social Justice, Take Action!. Re: Nuclear Regulatory Commission Sells Out! The NRC has sold out in protecting the health and safety of people and has caved in to the military-industrial complex. I wrote the leaflet below “How Nuts is this” on Wednesday, May 29, 2013 in preparation for our weekly Friday peace vigil in Hilo. That was the night before the three hour phone conference with the Nuclear Regulatory Commission (NRC) and the Army over the issue of the NRC license of Depleted Uranium (DU) in Hawaii. My participation in the phone conference confirms the content of the leaflet. In my view the NRC officials and the U.S. Army are participating in criminal activity that disregards the health and safety of not only the residents and visitors of Hawaii, but at all the places where the U.S. has used DU. It was clear from the phone conference that the NRC will issue a license shortly for the Army to possess DU at the sites named below with little or no restrictions that allow for the spread of the radiation contamination. Military shelling and bombing will not be stopped on bases known to contain DU. Shame on the NRC and the Army. I want to also note that not one state or county elected official or agency offered any comments of concern during the conference though they were notified of it. Shame on them too! Similar to so called “Bank Regulators” issuing a “license” for Wall St. Bankers to fleece tax payers, the Nuclear Regulatory Commission (made up of nuclear insiders) is preparing to issue a license to the military to bomb training grounds in Hawaii and throughout the U.S. known to contain radiation contamination. How nuts is this? Technically, it’s called a “License to possess Depleted Uranium (DU).” But the license allows bombing and shelling with high explosives on military bases known to be contaminated with DU from the Davy Crockett weapons system and likely additional DU from other weapons. Instead of exercising caution, stopping all live-fire, and doing comprehensive testing and monitoring, the military position is “Bombs Away!” The NRC appears ready to 2nd the Army’s motion and issue the license. The military bases known to be contaminated with DU include Schofield Barracks on Oahu and the Pohakuloa Training Area (PTA) on Hawaii Island. Other bases to be incorporated into the DU license include: Forts Benning and Gordon (Georgia); Fort Campbell (Kentucky); Fort Carson (Colorado); Fort Hood (Texas); Fort Knox (Kentucky); Joint Base Lewis- McChord and the Yakima Training ..Center (Washington); Fort Bragg (North Carolina); Fort Polk (Louisiana); Fort Sill (Oklahoma); Fort Jackson (South Carolina); Fort Hunter Liggett (California); Fort Greeley (Alaska); Fort Dix (New Jersey); and Fort Riley (Kansas). Besides Hawaii, there is no mention in the license of U.S. bases in other countries where DU weapons have been confirmed fired such as Germany, Korea and Japan. The major public health danger of DU radiation is inhalation of small alpha particles. Hawaii retired Army MD and MPH Dr. Lorrin W. Pang said “alpha particle emitters within your body is the most deadly form of radiation of all. It is stopped by your skin, but in your body it will mutate your DNA, more than any other type of radiation.” DU has been linked to a wide range of health problems, including certain cancers.